The term „smog” describes a mixture of emissions under specific climate conditions: industrial pollutants, car and other vehicle pollutants, open burning, incinerators. 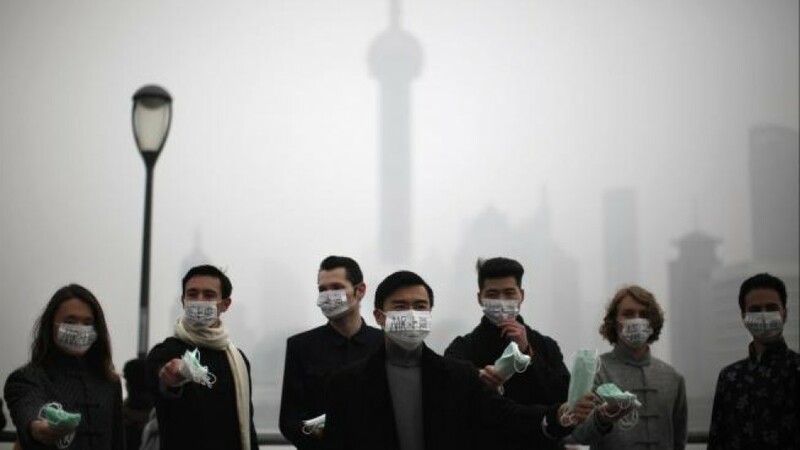 How does smog affect your health? Difficulty breathing and lung damage. High levels of ozone can irritate your respiratory system, harm your lungs even after symptoms disappear. Avoid exercising in smoggy conditions, particularly at midday when ground ozone levels are at their highest. Try to change the times you exercise to morning or evening, or exercise inside. Portable or central air cleaning systems, an air purifier can reduce concentrations of indoor air pollutants, of either outdoor or indoor origin. Whether it is called an air purifier or an air cleaner, the most important components of this type of machine are its air filters. HEPA filters remove smaller allergens like dust, smoke, chemicals, asbestos, pollen, and pet dander. HEPA vacuum cleaner is also useful. Activated Carbon Filter uses a chemical reaction called adsorption to pull odors, gases, and vapors from the air. Although they are not technically filters, ion and ozone generators are designed to do the same thing: remove impurities from the air. Surround yourself with clean air,close windows and use air conditioners and air purifiers. The masks designed for industrial use are the most effective. The EPA (Environmental Protection Agency) advises wet mopping of floors to reduce dust and to avoid vacuum cleaners that do not have a HEPA filter. It’s also advised that people sleep in a clean room, with as few windows and doors as possible to further reduce exposure as you sleep. Intake of water and other healthy juices will help in cleansing your body and blood of harmful pollutants. Get involved – Try to limit emissions.Long term we need to work together to develop systems that help us improve our air quality. We should try to use public transportation instead of driving and work together to reduce our emissions. While waiting for governments to act, or controls to be implemented, are there personal actions that can be taken by individuals to effectively reduce the risks of adverse health effects from air pollution? You can protect yourself and your family by checking daily air-quality alerts and planning your outdoor activities appropriately. When pollution levels are high, avoid exercising near high-traffic areas, or exercise inside. Limit the amount of time your children play outdoors. Don’t burn wood or trash.Burning firewood and trash are among the major sources of particle pollution in many parts of the country.